After failing to find opponents for international friendlies in early September, Mano Menezes has ‘called up’ 22 players for a group training session. Brazil will meet up in Barcelona from 2nd to 8th and the new coach has invited only Europe based players. 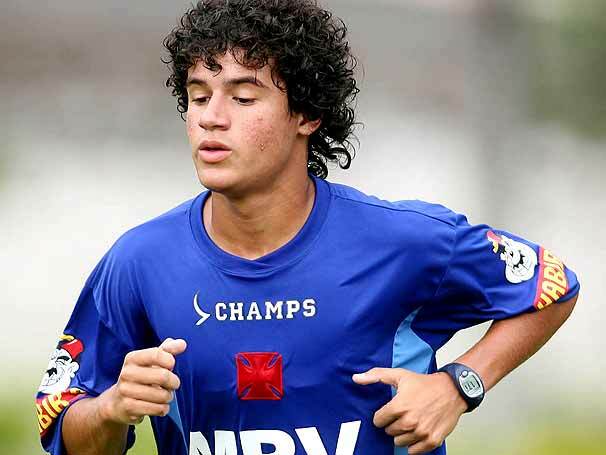 Inter Milan’s 18-year-old, Philippe Coutinho, is in the squad along with Shakhtar Donetsk’s, Fernandinho and Douglas Costa. Entry filed under: Brazil squad. Where is Maicon from Internazionale Milano? Mano menezes does not like Maicon? no Maicon, no Fabiano, no Julio Cesar, it is a training game only, don’t worry Elano and company will be back…. This isn’t a knock on any of the veterans, all great players but Menezes needs to focus on 2014 and use every opportunity to work in as many young, untested players as possible. He needs to see who he will be able to count on. If players such as Maicon, Lucio, etc., are still viable and available in the coming years then fine but it was understood in the wake of Dunga’s exit that there would be a comprehensive house cleaning. Every team needs a balance of youth and experience but the squad needs fresh new blood more than tired, old names. The broom needs to come out sooner rather than later. Brasil needs to resist the temptationof placating the public & media and do what is best for the future. How they do in these practice games v Barcelona is immaterial beyond the evaluation of the newer candidates.